An international conference has been told Queensland paramedics have respirators to protect them against bird flu. Darren Hall headed a pandemic planning project for the Queensland Ambulance Service. He says masks with a variety of filters were handed out after researchers studied paramedics' attitudes towards the threat of bird flu. "They've conducted a study into the perceptions of paramedics and paramedics have said quite clearly they wanted effective personal protective equipment, they wanted good notification, they wanted communication and those sorts of things would enable them to come to work and do those sorts of things," he said. Disturbing news from a study published in The Lancet. Not only does H5N1 attack the lungs, brain and other key organs, it can also infect foetuses. • Influenza A H5N1 should be considered in patients who are febrile with an URTI and a know history of exposure to sick or dead poultry, wild birds, other ill people, travel to an endemic area, or in someone whose work entails handling samples. • Isolating all hospitalized patients who are under evaluation for influenza A, following the same precautions as those used for severe acute respiratory syndrome, or SARS. This includes a room with negative air pressure, and contacts gowning, gloving and using eye shields. • Viral replication is long, and has been noted to continue up to 15-17 days following onset of symptoms. The virus has been detected in respiratory secretions, saliva, blood and stools. Researchers from Beijing University studied tissue from a man, a woman, and her fetus to determine how the virus affects different organs in the body. The two adults had died as a result of the bird flu virus. The researchers were able to detect the H5N1 virus in the lungs, throat, lymph nodes, brain cells, and in the cells of the placenta. In the fetus, both viral genetic material and antigens were found in the lungs, and immune system and liver cells. A story from the VoA details some of the latest discoveries about why the H5N1 virus is proving so deadly to humans. While the story says H5N1 in humans has a fatality rate of 60%, in Indonesia, Egypt and Vietnam it has proven much higher, reaching 87%. ...little has been known about exactly what H5N1 does to the human body, according to Ian Lipkin, professor of neurology and pathology at the Columbia University in New York. Lipkin is senior collaborator on a paper by international researchers who studied the bodies of two individuals who had died of the avian flu. He says the avian flu affects primarily the lungs, causing a surprising amount of damage. But in addition to the lungs, Lipkin says, investigators found H5N1 had spread to the gastrointestinal tract, and the infection was also discovered in the brain and in the reproductive tract. Lipkin says it appears the severe and widespread damage to the body inflicted by the virus H5N1 may be caused by the body's immune system going into overdrive - a phenomenon that some call a "cytokine storm." We're going to be writing about microbiologist Professor Kennedy Shortridge in the next week, so we thought as way of an introduction, we'd go back to the Hong Kong outbreak of H5N1, where the reality of a coming human bird flu pandemic first grabbed world headlines and brought Professor Shortridge to international prominence for his fight against the spread of the virus. The outbreak of avian flu in Hong Kong continues to ring alarm bells and dominate headlines worldwide. The H5N1 influenza A virus has been confirmed in 16 people and is suspected in another four cases. Four people have died, and three remain in a critical condition. Because these are the world's first reported human cases of a flu strain previously known to infect only birds, fears have been raised that the virus might spark a flu pandemic. There are too many unanswered questions, however, for anyone to be sure. For example, researchers have yet to determine the original source of the virus, the mode of transmission from birds to humans, whether human to human transmission is possible, what the incidence is in Hong Kong, whether fowl or animals apart from chickens are affected, whether anyone in mainland China has been infected with the disease, and the rate at which the virus is mutating. The outbreak began in early May, when a 3 year old boy died from respiratory failure secondary to viral pneumonia. When scientists at Hong Kong's Department of Health could not identify the strain they sent specimens to centres in Britain, the United States, and the Netherlands. By August all had identified the strain as H5N1, a typically avian virus. The second case was not confirmed until November. According to Professor Kennedy Shortridge, a microbiologist at the University of Hong Kong, the H5N1 strain was first isolated by the Department of Agriculture and Fisheries in Hong Kong after an outbreak in 6800 chickens on three farms between late March and early May last year. "The overall mortality rate exceeded 70%, and on two farms the mortality rate came close to 100%," he said. Researchers at the University of Hong Kong are working with the World Health Organisation to identify the reservoir of the H5N1 virus in poultry and animals by testing domestic and wild birds, as well as dogs, cats, rats, and any other animals that have close contact with humans, for the presence of the H5N1 virus. Professor Shortridge said that rigorous follow up is essential, and few animals can be ruled out at this stage: "The virus has cropped up under different circumstances, and so little is known about it. If the virus is shed through faeces, as has been suggested, then in theory there could be a lot of virus in the environment. Humans can be infected–perhaps other animals can be infected as well. At the moment we don't know." Until now it had been thought that new strains of human flu (variations of H1, H2, or H3) emerge after the virus's genes have been reassorted in pig cells with genes from strains of human or avian flu, or both. Pigs are considered a mixing vessel because they have avian, human, and swine flu receptors. But the H5N1 virus, a purely avian strain, has leapt directly from bird to humans. According to Ms Reynolds, this is significant because it is a new disease in humans, who have no resistance to the virus. "If it becomes efficient in transmitting from human to human then the entire world is vulnerable, and there is the potential for a pandemic." However, she added: "There is no way to predict whether or not this will happen. The virus could go away, it could mutate and become more potent, or it could mutate and become more benign." It was in microbiology classes that the germ of an idea began to smoulder. That germ had its genesis when, as a little boy, my mother told me how, in our country town, in the great influenza pandemic of 1918-19, a man on a horse-and-cart would call from the street for the bodies of those who had died from influenza. Her story was compelling, her concern was compelling. During this pandemic, some 20 to 40 million died worldwide. The major concern was that a virus with the same potential for human devastation could arise again. Comprehending death rates of 1/100 to 1/50 almost beggars belief. They need to be viewed against the nutritional deficits and social dislocation of the time. Her story and such figures had a tremendous impact upon me. While in London in the late 1960s, fortuitous findings on animals, some originally from Hong Kong, led me to suspect a possible connection between animals and influenza pandemics. The seeds were sown – leading me to The University of Hong Kong in 1972 to explore this, with the ideal of getting ahead of the next pandemic. This led me into the field of influenza ecology. At that time, and for many years, it was regarded by many as an academic curiosity – but it was an interesting exercise worth pursuing nevertheless. As the years rolled by, there was increasing evidence of interspecies transmission of influenza viruses noted by Hong Kong and other groups. Circumstantial evidence for the role of avian influenza viruses in the origin of human influenza pandemics was increasing. ...the world has many problems in spite of the great advances in science and technology. We should be moving into a higher order of human development but we are not. This does not make any sense – it is almost as if human development, rather than going forward, is in some ways, going backwards. Loneliness abounds, we could treat our fellow human beings better, we could treat our wonderful animals better, we should treat this fragile planet better. Somewhere in this equation, this unsatisfactory situation, the world is being subjected to the added pressures of emerging and re-emerging infectious diseases. In the past 50 years or so, infectious, zoonotic viral diseases have left their mark on the world, for example, HIV/AIDS, haemorrhagic fevers such as Ebola, West Nile, influenza H5N1 “bird flu”, SARS. Other avian influenza viruses are waiting in the wings. The world is under serious threat from infectious diseases. It is as if Nature holds all the aces, but really we should be in partnership with Nature. In the current influenza situation, the potential threat to the global community is great – to humans, to poultry and to bird life. While such a situation apparently did not exist prior to 1997, a global catastrophe extending beyond humans is within the realm of the possible. All the more so, since poultry is now the major meat protein worldwide. I am increasingly convinced that if we are ever going to deal with zoonotic diseases at source, we will need to have a better relationship with animals – all animals – an intrinsically important step in itself toward improving human development. A sobering thought here is that pandemic influenza is now regarded as a non-eradicable zoonotic disease. A higher aspiration in human development is that we might look forward to the time when ALL disease is eliminated. This will mean upping the stakes to take in all of Nature. As I have said in one of my publications "Only when we are at peace with Nature, will disease begin to melt away". Sure, this is a pious hope – I believe bringing infectious diseases to heel is within the realm of the possible and we must start somewhere. The nanobiotechnology industry is setting it sights on H5N1 as a future market for a new generation of vaccines. The claims made in this press release are remarkable, and sound pretty well absurd. At least, they're absurd until they've been scientifically, conclusively proven, and that's a long way off. In short, NanoViricides Inc, according to this press release, claim have come up with something better than human-produced antibodies. That is, they are claiming the antibodies that attack and destroy foreign invaders, like flu viruses, in the human body are close to being superseded by nanotechnology. Remember, this is a press release, aiming to sell the idea of what they're working, and to prepare the public to accept the idea that what the human body produces to protect itself is not enough when it comes to bird flu, even if it's not true. For the biotech and nanobiotech industries, the H5N1 virus is the biggest and most profitable potential new market to come along since the HIV virus. “Just like antibodies, nanoviricides™ have ligands that attach to the virus particle. However, unlike antibodies, nanoviricides complete the task of taking the virus apart. This is clearly visible in our electron microscopy (EM) studies,” said Anil R. Diwan, Ph.D., President of the Company. “Nanoviricides do not suffer from the major problems of antibodies and of vaccines as antiviral strategies,” said Dr. Diwan. Antibodies are relatively specific to a particular virus strain or subtype. It is well known that HIV and influenza viruses among many others, quickly escape antibodies. Vaccines depend upon the development of antibodies by the host, and thus, cannot protect efficiently against such changed viruses, as evidenced for influenzas. FluCide™-I is a broad-spectrum nanoviricide drug candidate based on a well-known ligand to which influenza viruses of all types must bind and cannot escape. Many other viruses and virus families also bind to this ligand and FluCide-I is expected to work against such viruses as well. FluCide-HP is a broad-spectrum nanoviricide drug candidate based on well known “signature regions” called “polybasic sites” on all HPAI influenzas including H5N1 and H7N3. If the virus mutates in this region to escape FluCide-HP, its pathogenicity will decrease and it will no longer be a dangerous epidemic threat. FluCide-HP has also shown very high efficacy against the unrelated rabies virus, which possesses similar signature regions. For now, I remain vastly skeptical. The bird flu virus has returned to China, if it was ever eradicated to begin with. ...tests on tissue samples at a provincial government lab show the presence of the highly pathogenic H5N1 virus. As of September 14, almost 33,000 ducks had been slaughtered in an attempt to contain the outbreak. China has reported 25 human cases of bird flu since 2003, 16 of them fatal. Agriculture Minister Muhyiddin Yassin said surveillance and laboratory tests since June have fulfilled conditions set by the World Organization for Animal Health, or OIE, to declare the country free of the virulent H5N1 bird flu virus. "The prompt action by the Veterinary Services Department to stamp out the bird flu outbreak according to the protocol had been effective," the national news agency Bernama quoted Muhyiddin as saying. "We had conveyed the matter to the OIE, which gave the green light for Malaysia to be declared free from the disease." Muhyiddin's aide, speaking on condition of anonymity because he was not authorized to make public statements, confirmed the comments. Malaysia on June 5 confirmed its first bird flu outbreak in more than a year after tests on some 60 birds that died in Sungai Buloh, near the country's commercial capital, Kuala Lumpur, showed they had the H5N1 virus. Several villagers with flu-like symptoms were hospitalized, but they tested negative for bird flu. Before the last incident, Malaysia had reported an outbreak of the H5N1 strain in March 2006 in chickens in a northern village. The government had previously declared the country free of bird flu in June 2006. New scientific discoveries keep eating away at the prophecy that "bird flu," avian influenza type H5N1, will become readily transmissible from human to human and unleash a disastrous pandemic. * Laurie Garrett, former Newsday reporter, now a senior fellow at the Council on Foreign Relations, and the Paul Ehrlich of pandemics...speaks of H5N1 as a "tidal wave over humanity." * University of Minnesota School of Public Health professor Michael Osterholm estimated 180-360 million deaths worldwide simply by extrapolating the estimated death toll from the Spanish flu of 1918-19 to today's world population. * But the winner is Dr. Irwin Redlener, director of the National Center for Disaster Preparedness at Columbia University, who claimed on ABC News's Primetime, "We could have a billion people dying worldwide." Those were the kinds of mega-death predictions and fear campaigning that led to governments across the world committing tens of billions of dollars to stock-piling relatively unproven 'antidotes' to bird flu infection, like Tamiflu. While Fumento claims that "lefty" blogs amplified those dire predictions, and increased The Fear, he fails to mention that it was the massive corporate media entities like CNN, the New York Times and Fox News that really pumped up The Fear. Fumento also fails to mention that few have personally profited more from global Tamiflu sales than former US Secretary of Defense, Donald Rumsfeld, who pocketed more than $5 million in cash from selling the stock he had snapped up in an American research company a few years before 'Bird Flu Pandemic Will Kill Millions And Millions' headlines started filling newspapers in 2004 and 2005. President Bush was also a key player in promoting the 'reality' of a coming bird flu pandemic in the last quarter of 2005. ...Evidence continually mounts that while there may well be another flu pandemic of some sort, there's virtually no chance it will be H5N1. Recently reported research from David Finkelstein and his colleagues at St. Jude Hartwell Center in Memphis, Tennessee, is just the latest nail in the chicken coop. The researchers analyzed almost 10,000 avian H5N1 sequences and almost 14,000 human sequences, including those of seven dead Indonesians who apparently caught the virus from another human. They looked for specific amino acids either more likely to appear in human flu virus proteins or in avian virus proteins. Reporting their results in the journal Virology, they found no sequence that even approached the mutations in the flu viruses that caused the three pandemics of the 20th century, including Spanish Flu. In all, they identified 32 clear-cut changes in influenza viruses that differentiated a human H5N1 strain from that in birds, yet none of the viral samples from humans had more than two of those changes. "We think they need to get to 13 [mutations] to be truly dangerous," Finkelstein told Reuters. He characterized his finding as "reassuring." The viral strain's discovery in poultry dates back not to 1997, as we're constantly told, but rather to 1959, when it was identified in Scottish chickens. ....humans have been exposed to this thing for half a century with no evidence it's become the least bit more contagious to them. Small increases in the counted numbers of human cases over the last four years are probably nothing more than an artifact of better reporting. Better disease reporting, by the way, is generally regarded as good news. One of the reasons why we started this blog two years ago was to report on the science and research that disputes the claims of a "not if but when" global bird flu pandemic. It took the Fumento piece to remind us just how few of those stories and reports there has actually been in the media over the past 24 months (outside of subscription only medical publications). It is a strange depiction of the mainstream media then to highlight the fact that news stories reporting that a bird flu pandemic may be wholly unlikely are actually quite hard to find, online at least. Whereas, reports from any scientist who wants to ramp up the projected death toll from a bird flu pandemic (any takers for more than one billion?) gets onto the wire services and into hundreds of newspapers around the world within hours. Maybe the old newspaper catch-cry of "If It Bleeds, It Leads" should now be "If It Sneezes, It Leads". About 500 chickens in the south Russia’s Krasnodar Territory have died of bird flu, a local official said Tuesday. The outbreak was detected at a poultry farm in the town of Razdolny Sunday. A spokesman for the territorial veterinary service said a regional laboratory has identified the lethal H5N1 virus in the dead birds, and that measures are being taken to contain the spread. “The decision has been made to destroy 22,000 birds at a farm where chickens died over the weekend,” he said. He did not say how many birds were on the farm in total. Tests are ongoing, and may take up to seven days to produce conclusive results. A local prosecutor said criminal charges might be pressed against the farm’s managers. The Russian Ministry for Emergency Situations warned last month of a danger of bird flu outbreaks in the Chelyabinsk Region, in the south Urals. Indonesia's Health Minister Siti Fadillah Supari said the research findings had "misled the public". "It's pure logic... If there had been human-to-human transmission, it would have already swept the country and killed thousands," Supari told a news conference. "Our scientists have already determined that the 2006 outbreak on North Sumatra was not a case of human-to-human transmission." Bird flu is endemic in bird populations in most parts of Indonesia, where millions of backyard chickens live in close proximity to people. While it is largely an animal disease, experts fear the virus could mutate and spread from human to human, turning into pandemic that could kill millions. Contact with sick fowl is the most common way for humans to contract the disease. Supari said tests done in WHO laboratories in Atlanta on virus samples from Bali showed the virus had jumped from animal to humans. "There is nothing to worry about, so far Atlanta has not issued any alarm," she said after the news conference. The US study's claims should be questioned, examined and debated, but I'm not too sure if Supari's "pure logic" argument is altogether correct. While contact with infected poultry would appear to be the most likely way for a human to become infected by H5N1, there have been other instances where bird to human, and then human to human spread is the most likely scenario for how others have become infected. In the case of the North Sumatra outbreak, in April, 2006, some 80% of family members who showed symptoms of infection are believed to have died from the virus, and only one member of the family traveled outside of the fairly isolated village where the deaths occurred. Also, Indonesian and WHO medical specialists were on the ground within days of the scale of the outbreak becoming known, and most of the villagers were put onto anti-virals, and quarantined. The North Sumatran H5N1 deaths may well have been the result of human to human spread of the virus, but as the local population was small, isolated and fairly quickly locked down, there would appear to be little opportunity for the virus to continue to spread and infect, and kill. Clearly, Supari would be right if the bird flu virus had mutated into a far more easily communicable and deadlier strain. But from the WHO statements I recall reading at the time, they reported no significant mutation in the virus samples they collected from the dead and samples from those who became infected but survived. 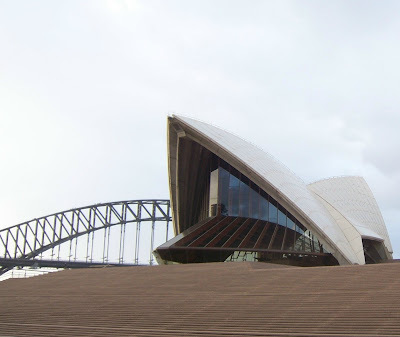 So what happens to a city when an extremely deadly bird flu pandemic hits Sydney, Australia? This is a subject I'm now exploring in an online serialized novel called 'ED Day'. The story is told in the form of a near daily journal by one of a few hundred survivorsl, and details how these survivors find themselves 'trapped' in the centre of Sydney, after the pandemic wipes out millions of people. It's a massive exaggeration of even the very worst case scenarios for death tolls from a bird flu pandemic, but it's fiction, and to tell the story I want to tell I needed to wipe out most of Sydney's human population. Unfortunately. I started writing this novel in late 2006 and posted a few chapters onto a forum at MySpace, inviting readers to criticize and discuss what they were reading. The reaction was mostly positive, but as a writer I found the experience unique and remarkable. Work got in the way of doing more with the novel, but I've decided to impose a running deadline on getting the novel written by publishing three or four chapters a week, basically as they're written, first draft, no rewrites. There's no full outline of the novel, and I have at best a vague idea of where I want this story to go. But it's already taking on a life of its own. On Tuesday, the novel will go into the history of how the bird flu virus began to spread human to human, how it reached Sydney, and what happened during the three 'waves' of the pandemic. I hope all my regular readers here will come and have a look at the novel and follow it as its published online. I would also hope that you feel free to comment on what you read, and don't hold back pointing out factual errors about H5N1 or discussing the way the pandemic unfolds in the novel. Obviously, as the novel is fiction, not everything will be based on known scientific fact, but I'm planning to explore how World Health Organisation and UN guidelines for dealing with a pandemic outbreak play out for the people of Sydney. Regular postings of news to the Bird Flu Blog will continue at their usual rate of frequent to infrequent. Bird Flu Pandemic : How Close Did We Come? Another story covering the US research that claims human to human transmission of the bird flu virus did occur in Indonesia in 2006, when eight members of the same family caught the virus, killing seven. Researchers from the University of Washington have studied the case of a woman on the Indonesian island of Sumatra who caught the H5N1 bird flu virus from poultry in May last year. Professor Ira Longini, who led the research, says they have confirmed that not only did she pass the virus on to her 10-year-old nephew, it was then transmitted to other relatives. Seven of eight family members who caught the disease were soon dead. "This proves there is person-to-person transmission in this case, in that setting, in Indonesia, northern Sumatra," he said. Professor Longini says this shows there is a serious threat of a bird flu pandemic. "It could happen and will happen eventually, and this simply confirms this particular H5N1 virus is capable of person-to-person transmission," he said. "The other thing it says is that we need to be very vigilant to find these clusters, to assess whether there's transmission and to stop transmission as quickly as we can each time they arise. "We're going to see strains of influenza that are capable of causing pandemics arising, probably avian strains, and that will happen for sure, there's no doubt about it." Professor Longini says in this case, a pandemic may have been averted because of the quick action of health authorities or, statistically at least, it could have been luck. He said because the sample group was so small, it was impossible to say how fast the disease could have spread in the workplace or the street. But he says that in the home, it was a fast mover. "It had about a one-third chance of transmitting from person to person due to close contact in that household setting," he said. Other scientists say the research confirms their suspicions about the disease. Dr Alan Hampson is a member of the World Health Organisation's (WHO) Pandemic Taskforce and an adviser to the Australian Government on influenza. "This study has looked at the dynamics of the spread of the virus in the family environment in Sumatra and has come down with the conclusion that it clearly does show person-to-person transmission," he said. "We had already believed that that was probably the case and we haven't had confirmation through analysis of the viruses. "The information relating to those viruses is information that's held in Indonesia, so we haven't seen that, but what we do believe, from people who have seen the information, is that that too indicated that it was person-to-person spread and that the virus was changing as it spread from one person to another, as we would expect it to do." Dr Hampson says the Sumatra case could have become a pandemic. Up to 650,000 people could die in England and Wales if there were a flu pandemic, according to a Home Office document that outlines plans for dealing with an outbreak, including measures for mass burials and refrigerated storage of bodies. Ways of dealing with mass casualties are likely to be overwhelmed at the height of a pandemic, with up to 22% extra deaths at its height, the report warns. The officials say that even under prudent projections there could be 320,000 deaths. "Cemetery managers are likely to want to move to provision of common graves, which would allow interments to be undertaken more quickly." Coffin makers might have to limit the types and sizes of coffins to meet the demand. The scale of the death toll from a flu pandemic never fails to stun. In Bali, you don't talk about bird flu. And if you do talk about it, you say it's no big deal, poses no threat and nobody should be too worried about it. 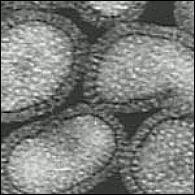 Outbreaks of bird flu, particularly human deaths (of which there has been two, possibly three, in August) related to H5N1 infection, have a nasty habit of impacting on the tourist trade. And tourism is the lifeblood of Bali today. As the Jakarta Post points out, in this revelatory article, "it is very rare to hear someone talk frankly about the threat of bird flu on the island". In his research he came across the daunting discovery that the virus in Bali had crossed over to mammals, such as pigs, dogs and cats. He became somewhat unpopular on the island, which at the time had just begun to recover from the aftermath of the terrorist bombings of 2002 and 2005. Bali's government officials and politicians not only dismissed Mahardika's findings, but also criticized the validity of his research. Despite his skeptics' doubts, and claims that his lab did not comply with bio-security standards, Mahardika was confident with his findings. Some six months after issuing his warning, a bird flu outbreak in poultry spread across the island -- from Bali's southern Jembrana regency, to west Klungkung regency and the capital city, Denpasar. Bali's first human victim of the bird flu virus died on Aug. 12, with a second death on Aug. 21, increasing the nation's death toll to 83 out of 105 cases -- the highest fatality rate from H5N1 in humans in the world. "There was political apathy," he said. "This is the social cost of our ignorance". He said as a Balinese-Hindu, he believes there is "Atma" (an essential divinity) within all humans. "In my study of molecular biology, I have often asked myself if god put Atma in DNA." He became aware of the avian influenza virus in 2003 -- when the virus was first detected in Bali and had taken Indonesia's first H5N1 victim in Tangerang, Banten. "I started to follow the development of the virus and had the chance to do extensive research in 2005," he said. The island of Bali -- an area of only 5,000 square kilometers and inhabited by 3.2 million humans, who live alongside approximately 12 million fowl and 900,000 pigs -- is a potential breeding ground for the virus. "It might seem an exhausted thing to say, but public participation is the only way we can fight this virus," he said. With NGO experience under his belt, Mahardika set up a model program for bird flu awareness. "My students and I held an educational campaign in Sedang village, in Denpasar. For a period of three months, we conducted campaigns aimed at educating elementary school children and villagers on the bird flu virus. It worked. When there was a bird flu outbreak in the village, they managed to contain it to only nine households," he said. "There should be an ongoing campaign to combat this virus. Poultry should not be allowed to roam freely in neighborhood areas anymore. All chickens should be fenced in and separated from pigs. The public markets (where they are sold) should be reorganized ... live fowl should no longer be sold there." Mahardika said the possibility of a pandemic was no longer a question of if, but when. "Now is the only time humans have the chance to prevent a pandemic," he said. "We didn't have a chance with AIDS because it spread quietly and unseen, but bird flu is different -- we have the chance to contain it. "It is in our hands -- we can either do something about it or remain in denial."